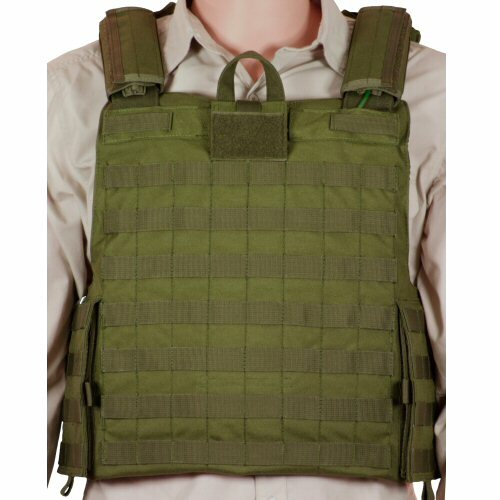 The latest top quality build armour carrier vest, the Bulle US MOLLE releasable armour carrier vest is a quick release armour vest with excellent MOLLE webbing coverage across the entire body. 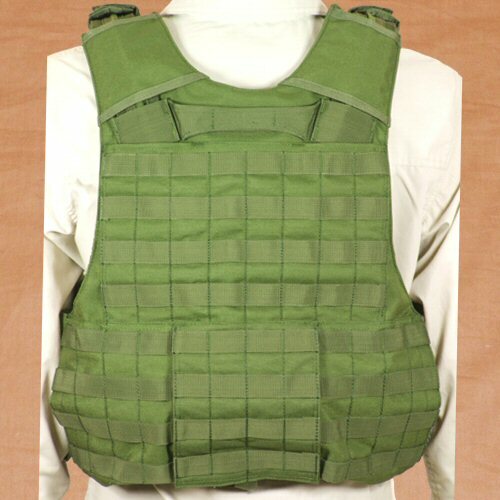 The vest is designed to take 32.5x30cm SAPI plates in front and rear internal panels, and soft armour panels inside the mesh inner lining. 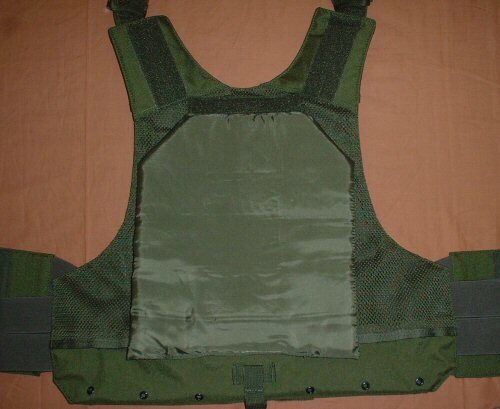 The front panel of the vest is designed with longer torso portions for better armour coverage at the sides of the body. The vest opens from the side with velcro for easier access without having to disturb the pouch setup on the front of the vest. Over the shoulder velcro down flaps help to protect the shoulder adjustment and carry hydration and comms gear over the shoulder whilst minimising the chances of snagging or catching. The rear of the vest is kept in position around the waist with an extra wide, elasticated band of cordura material fitted with velcro which helps to stabilise and position the rear panel whilst distributing the weight over the lower back and torso. This is adjusted tight over the body as the vest is donned, before adjusting down the side velcro panel. 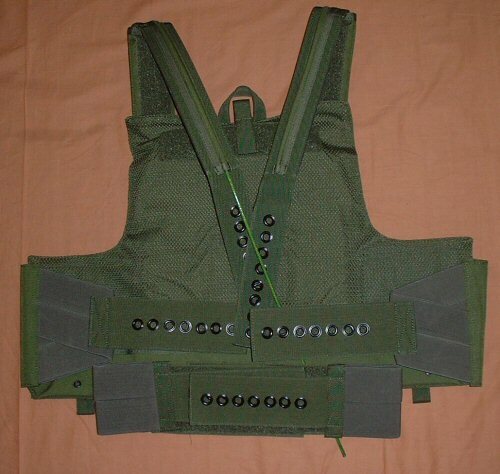 The quadruple elastics provided on the combined waist straps on left and right allow this armour carrier vest to flex and adjust to body movement, making for a better fitting vest, even during high-speed situations. Sturdy Cordura drag handle is provided on the back of the vest. 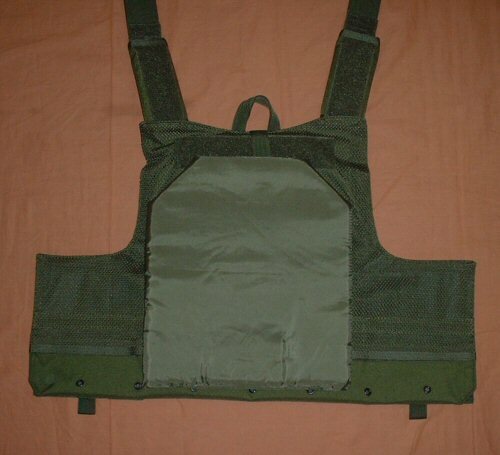 The Bulle US SAPI armour carrier is a releasable armour vest which can be opened quickly with one drawing movement towards either right or left side, depending on how the releasing mechanism has been fitted. In order to minimise potential for the vest to be released accidentally, the release mechanism is covered for most of its length to prevent snagging, and may be activated from the front via a velcro-down, separate mini panel by the wearer or by medical personnel. The vest is made of 1000D Milspec PU-coated cordura body and webbing which is triple stitched for durability. The vest is highly adjustable and will fit from 38" chest to 46" chest, 5'7 to 6'2 size. Please note that the price is for ONE vest only. The releasable strapping shown disassembled and without the rear panel. The foam plate representing a 12x14 plate on the front.